As you drive around you’ll notice a large number of small used car dealerships in your area. These locations do have some vehicles you might want to drive, but most of the time these vehicles are priced too high or offered with too many miles on the odometer. Avoid these locations and make your way to the Dodge dealership you trust. The team at Massey Yardley Chrysler Dodge Jeep Ram Fiat in Plantation, FL can help you have the vehicle you want to drive in Lauderdale Lakes, FL. 2014 Ram 1500 Sport – This crew cab model of the Ram 1500 can offer you the qualities you want when you drive including a rearview camera, leather upholstery, an 8.4-inch infotainment screen, and a navigation system. Visit this Dodge dealership and take this gorgeous truck for a drive today and make it the one you want in Lauderdale Lakes, FL. 2015 Jeep Wrangler Unlimited Sport – Travel out on the trails in your area and make your adventures more fun in this used Wrangler offered at this Dodge dealership near Lauderdale Lakes, FL. This SUV has a hardtop, touchscreen system, and the 4WD package you want when you’re ready for some serious fun wherever you take this impressive SUV. 2017 Dodge Durango GT – This large SUV has the spacious cabin you need to take your family with you on the roads you travel. You’ll be able to make use of the navigation system and the fact that some factory warranty is still offered. Take this SUV home from this Dodge dealership to be the right vehicle for you to enjoy in Lauderdale Lakes, FL. 2018 Ram ProMaster Cargo Van – Have you been looking for a work van for your business? If so, you need to take a look at this impressive van which is offered at this Dodge dealership with only 10,000 miles, a high roof, and plenty of power. This can be the van that allows you to get more work done in Lauderdale Lakes, FL when you take it out on the roads. 2017 Jeep Grand Cherokee Limited – Do you want an SUV with double sunroofs, heated seats, and a navigation system? If so, this used Grand Cherokee is offered at the Dodge dealership you need to visit today. You’re going to be ready to take this SUV home with you to Lauderdale Lakes, FL when you want capability with you out on the roads you travel. 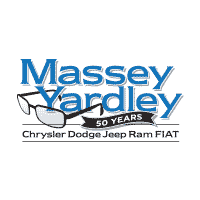 Make your shopping experience much easier by visiting the team at Massey Yardley Chrysler Dodge Jeep Ram Fiat in Plantation, FL. This is the Dodge dealership with a ton of excellent deals that can put a smile on your face when you drive away to start the enjoyment of the vehicle you chose to be the one you drive every day in Lauderdale Lakes, FL.